Did you know that each February there is a week dedicated to kindness? Well, now you do! This year Random Acts of Kindness week is February 11-17, but it is NEVER too late to teach your students about being kind! This year, we talked a lot about what kindness looks like, kind and unkind choices, and different ways we can be kind to others. What's even better? Everything I used with my students is FREE on TpT! SCORE! We started our "kindness unit" by reading this adapted book by Mrs. P's Specialities and talking a little bit about being a good friend. After reading the story, my students each completed a writing page about being a friend by Breezy Special Ed. I loved how the worksheets were already differentiated and I was able to choose which levels to use with each student! Our next activity was one of my favorites. As a class, we discussed "kind" and "unkind" behaviors. 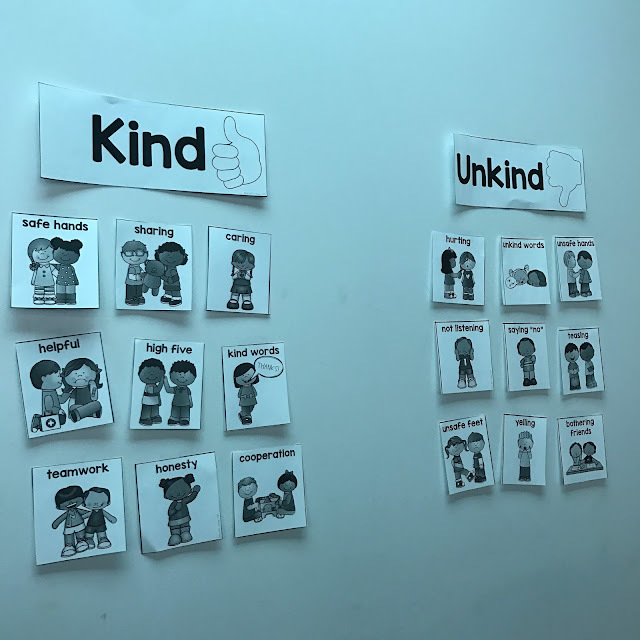 I printed the whole class sort from the kindness sort from You Aut-a Know and we completed the sort as a class on the board. It was awesome to see how much my students were able to differentiate between "kind" and "unkind" behaviors already! 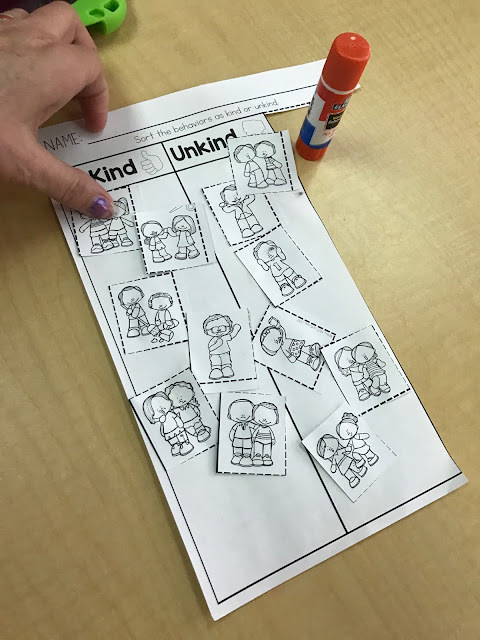 Once we completed the class sort, we finished the kindness sort worksheets as a class! We talked about what was happening in each picture, and decided where each picture should go. Another fun activity we did was a kindness social story and kindness resolutions from Autism Classroom News. This product was an awesome way to talk about kind things we can do at home for our families AND at school for our teachers and friends. This was a great way to teach my students HOW to be kind to one another, including simple things they could do for others at home and school! I also sent home this kindness project from my TpT store to all of my families to complete as "homework" and return to school. This was an easy and fun way to get the families involved and talking about/displaying kindness in their homes! There are tons of great questions to discuss, books to read, and an activity to do some type of random act of kindness for someone. 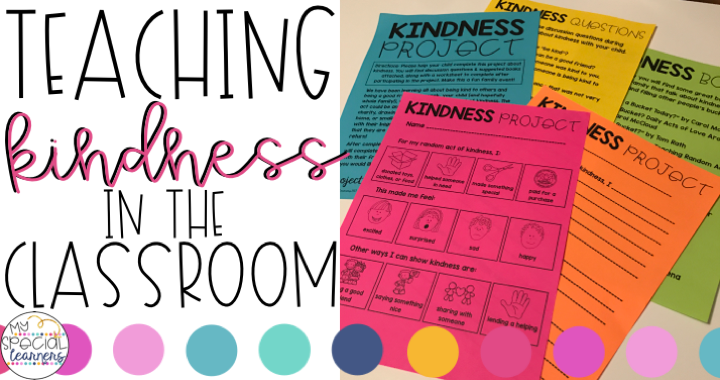 There are a couple other fun activities on TpT for free to help teach kindness in the classroom. Search the hashtag #KindnessRules on TpT or click HERE to find some fun freebies! What are some fun ways YOU teach your students about kindness in the classroom? !